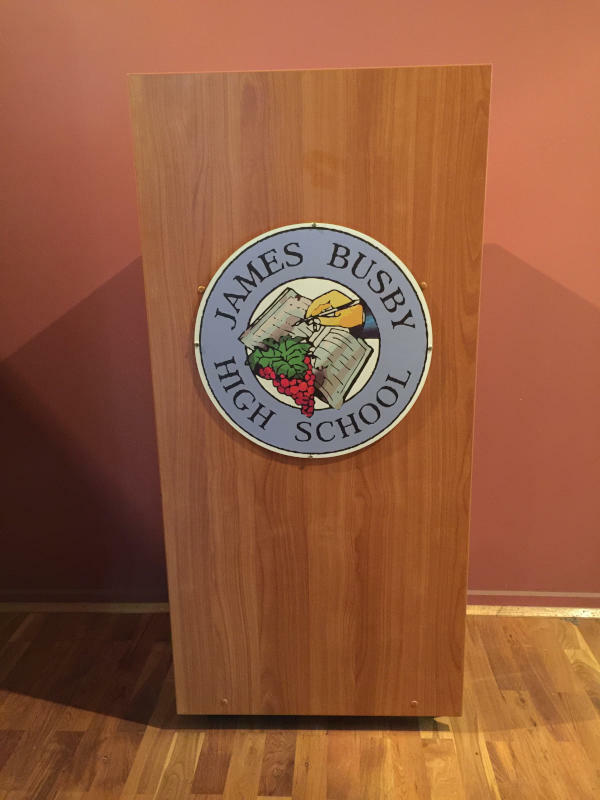 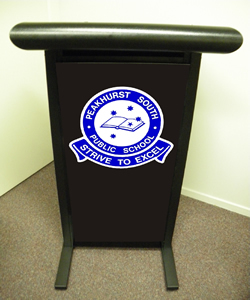 Below you will find more examples of the range of lecterns for schools & podiums with names and logos from Absolute Office Lectern range. 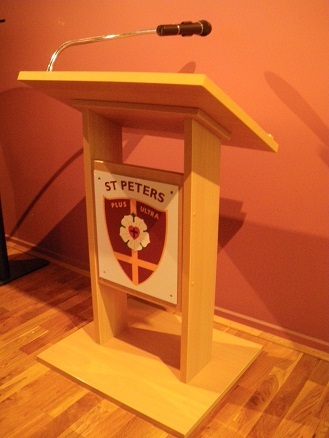 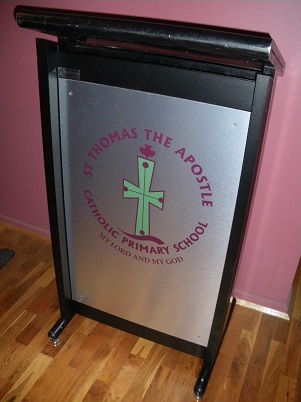 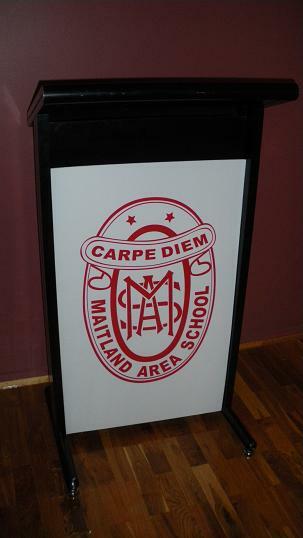 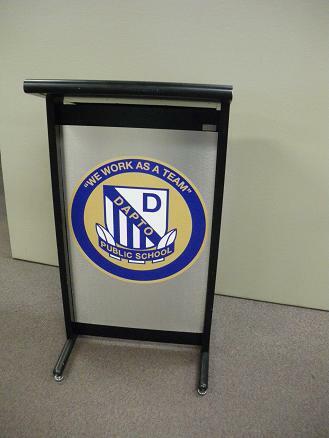 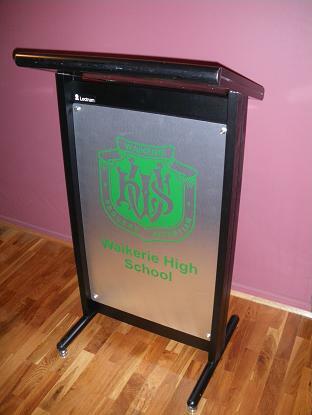 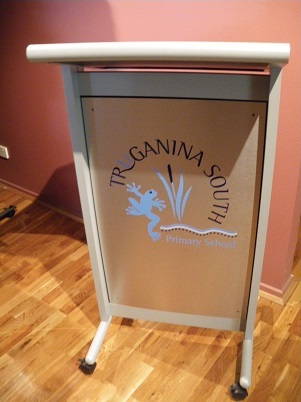 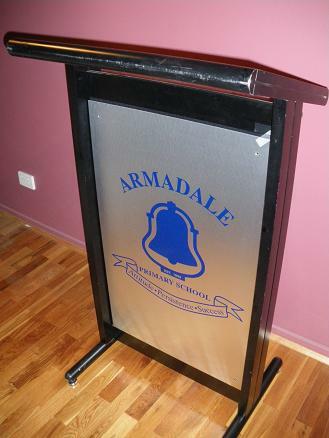 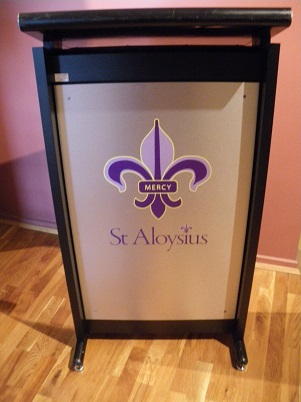 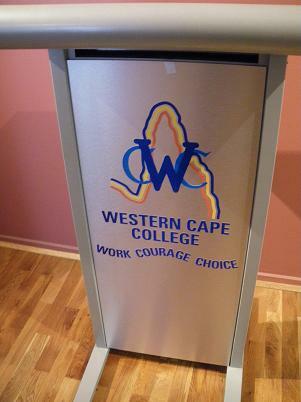 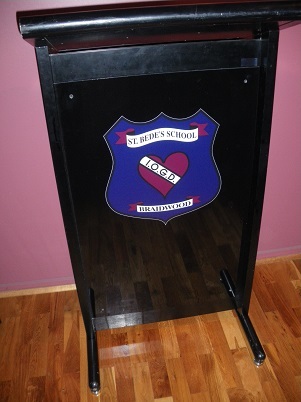 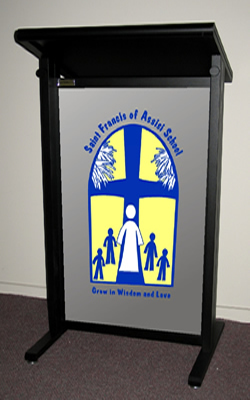 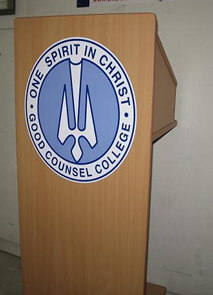 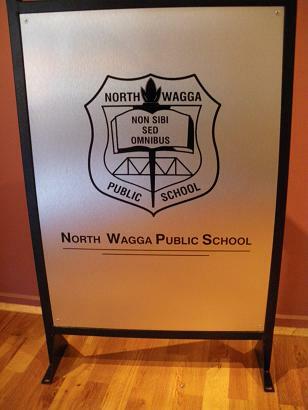 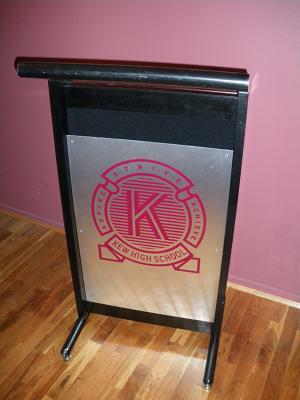 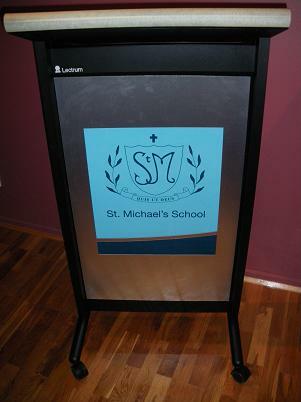 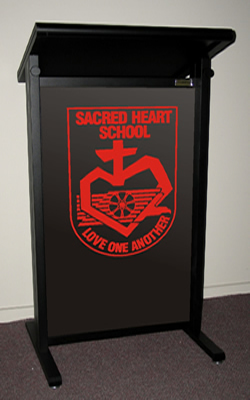 We are suppliers of school lecterns for schools throughout Australia. 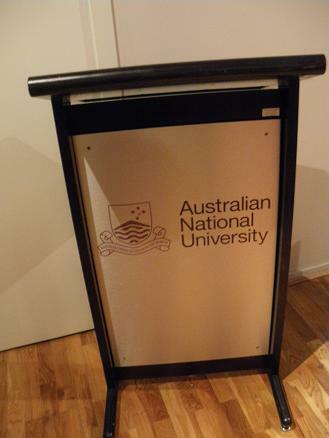 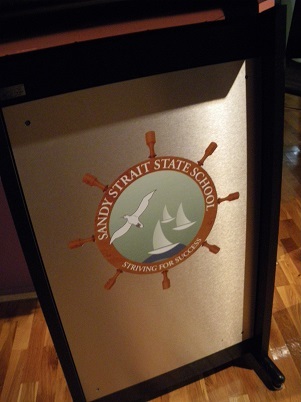 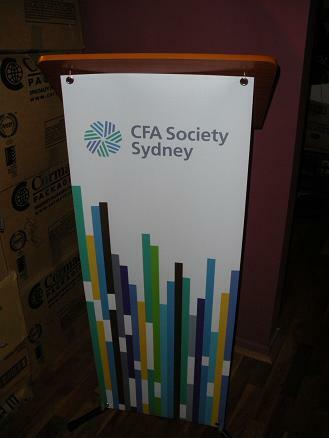 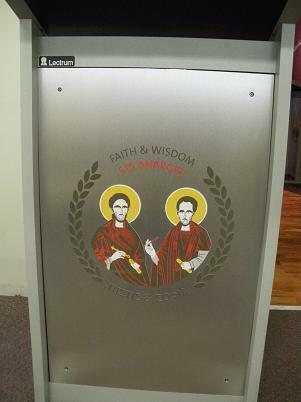 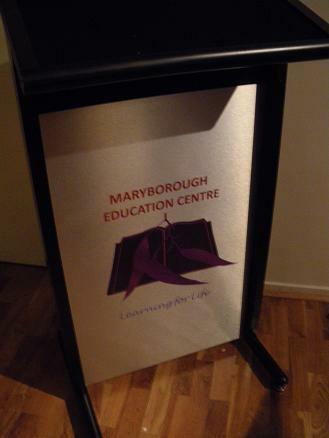 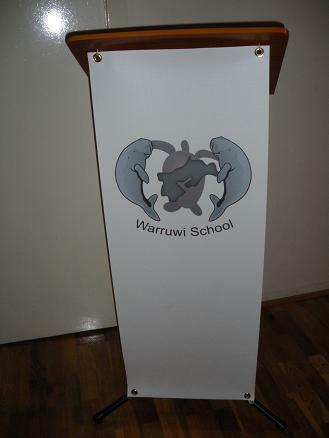 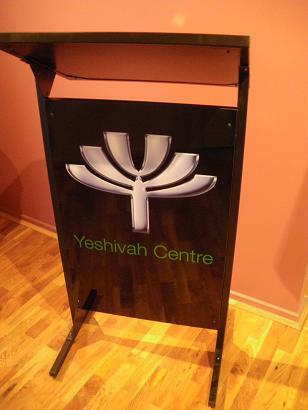 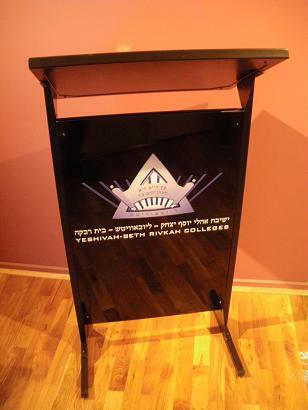 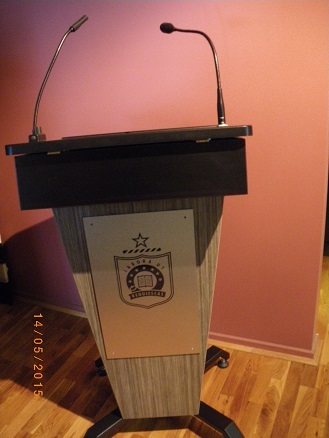 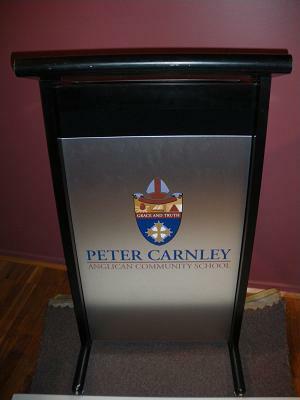 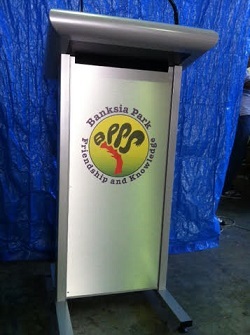 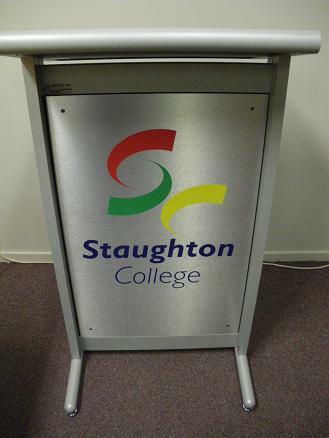 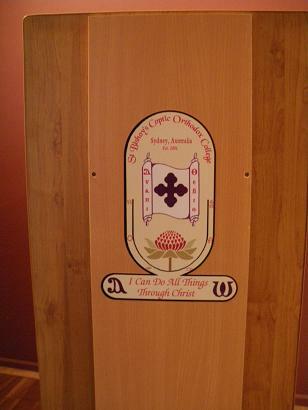 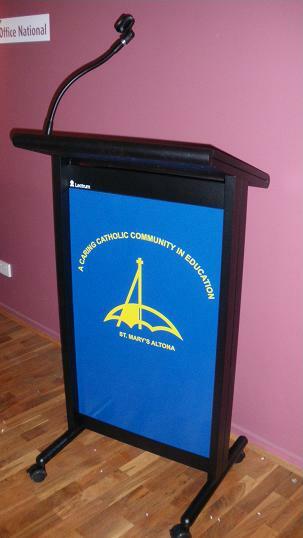 Below you will find images of school lecterns for the many educational institutions throughout Australia. 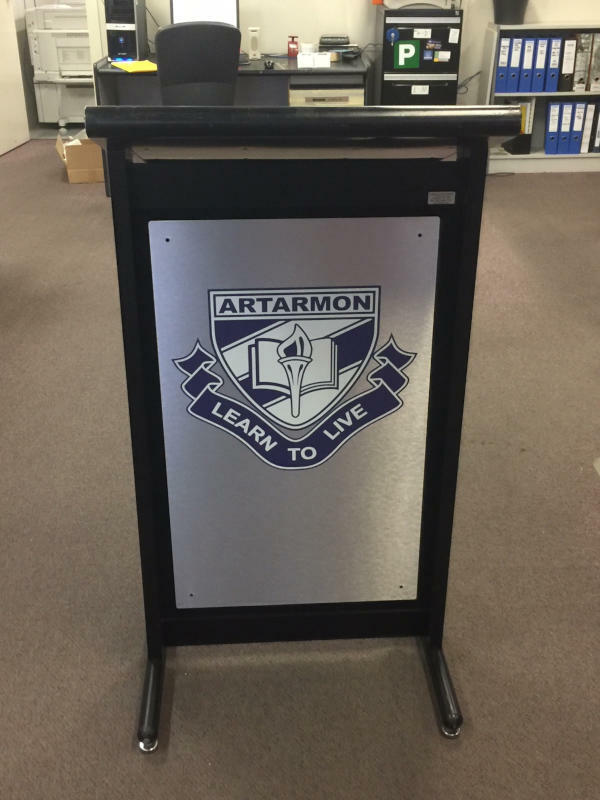 Call us on 03) 8420 7788 if you are in Melbourne, or 0418 574 767 if you are in Sydney, Brisbane, Perth, Adelaide, Canberra, Hobart, Darwin or anywhere else in Australia. 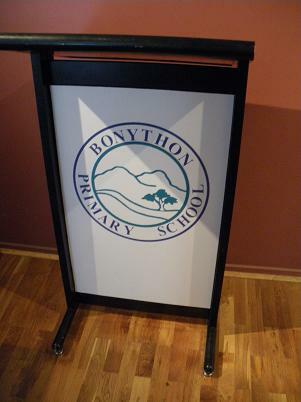 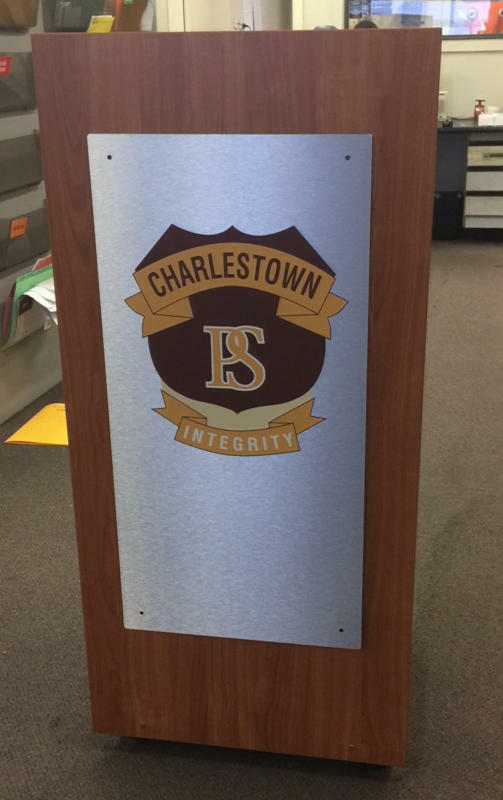 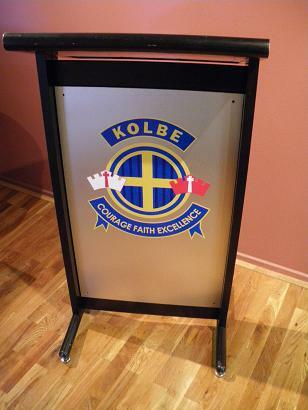 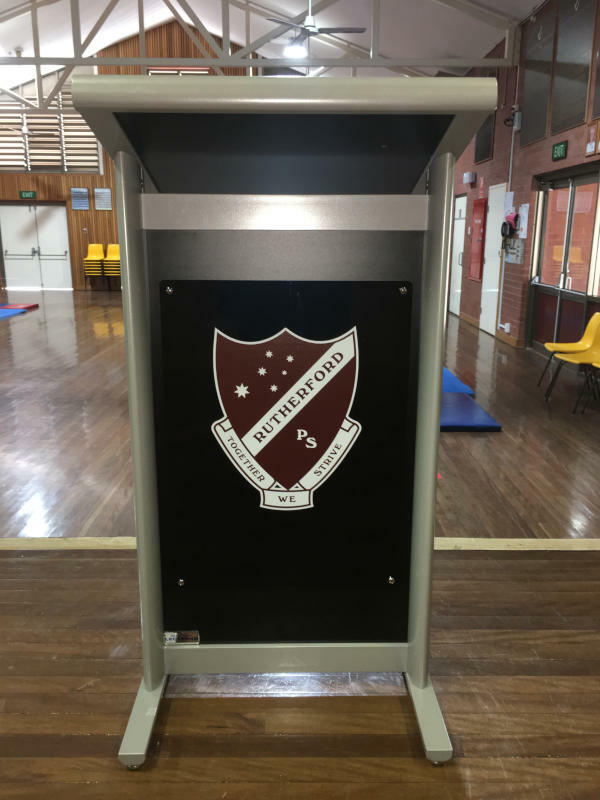 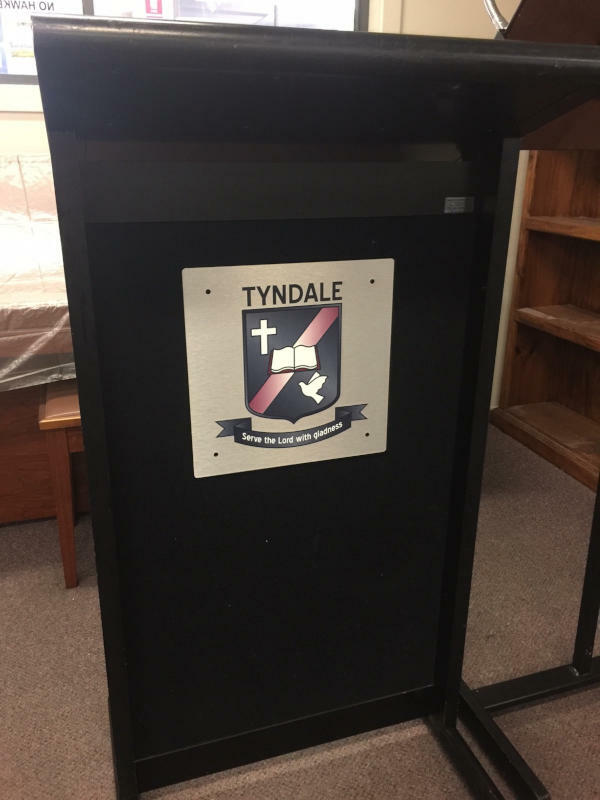 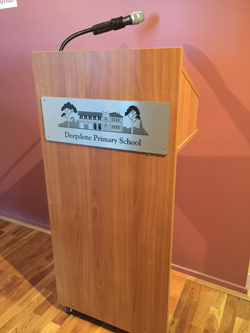 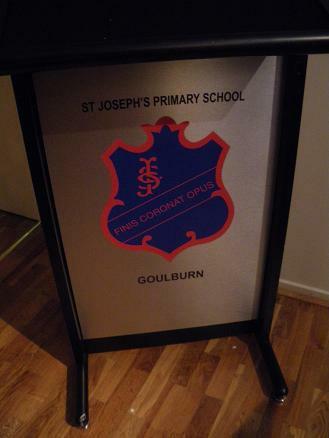 Below you will find a slideshow of images of some of the lecterns for schools we have supplied for schools around Australia. 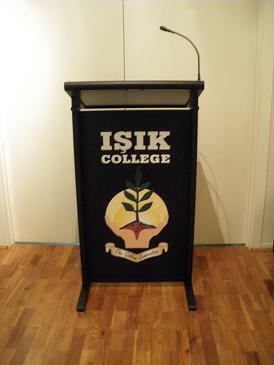 Simply click on an image for the full sized version. 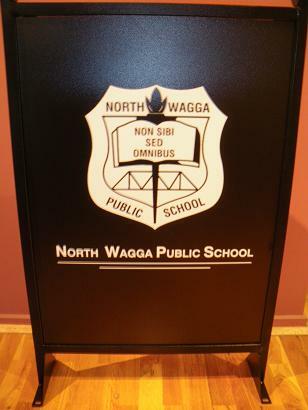 Australian National University, Armadale Primary School, Bonython Primary School, the CFA, Christ College, Churchlands, Dapto Public School, Deepdene Primary School, ISIK College, James Busby High School, Kolbe Community College, Kew High School, Maitland Area School, Maryborough Education Centre, Nareena Hills Public School, Nathalia Secondary College, North Wagga Public School, Peter Carnley Anglican Community School, Waikerie High School, Truganina South Primary School, North Wagga Public School, Parkhurst South Public School, Rutherford Public School, Sacred Heart School, St. Francis of Assisi School, St. Josephs Primary School, St. Michael's School, Staughton College, Warruwi School, Western Cape College, Yeshivah - Beth Rivkah Colleges and the Yeshivah Centre. 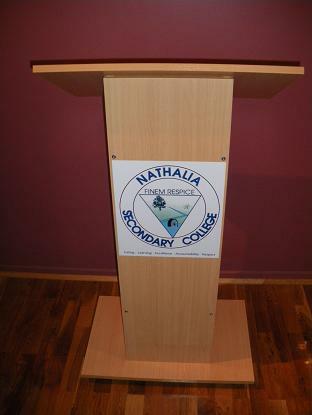 Note: Prices for school lecterns are Subject to Change without Notice. 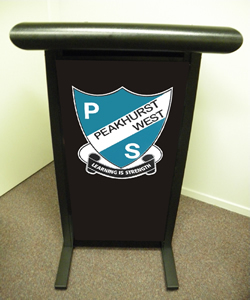 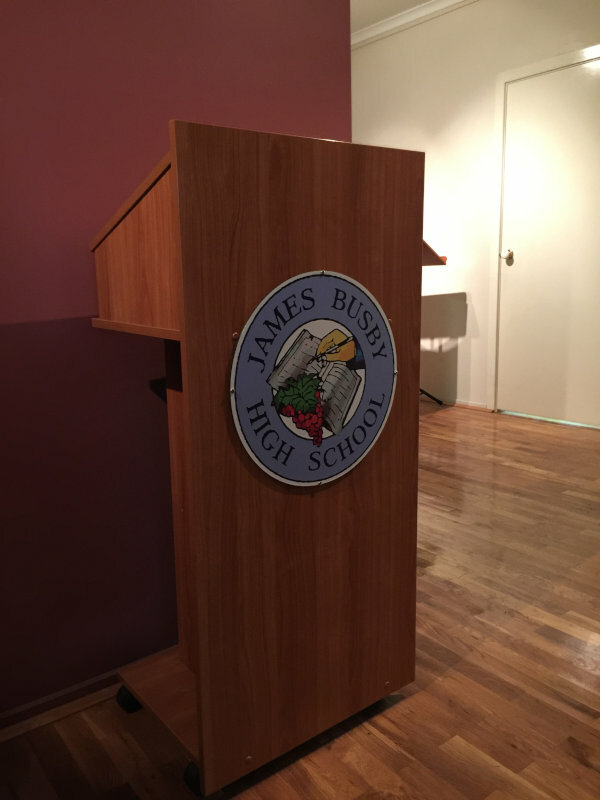 To make an inquiry regarding our Lecterns for Schools for rent / hire, please feel free to contact us either by telephone (on 0418 574 767 or in Victoria on (03) 8420 7788), email or by using our Inquiry/Booking Form. 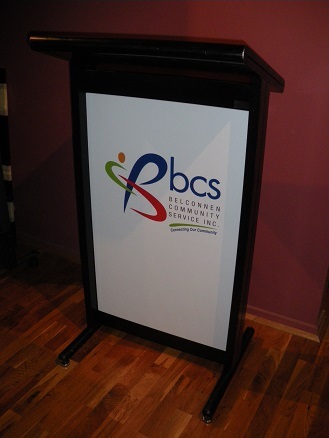 We will endeavour to respond to your email or Inquiry Form submission within 24 business hours. 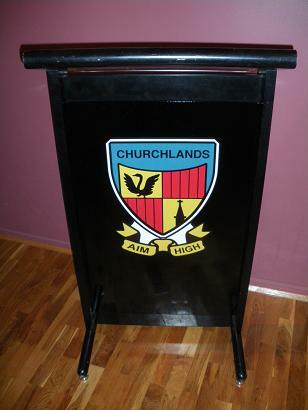 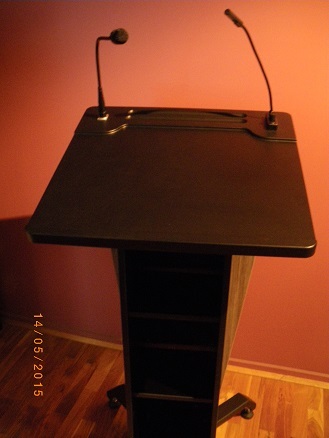 We also sell Lecterns. 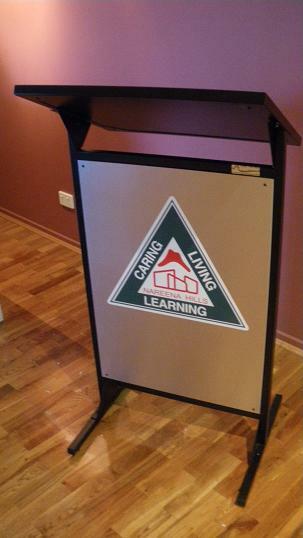 Please feel free to call us (on 0418 574 767 or in Victoria on (03) 8420 7788), email us or use our Inquiry Form to make a inquiry regarding our lecterns for sale. 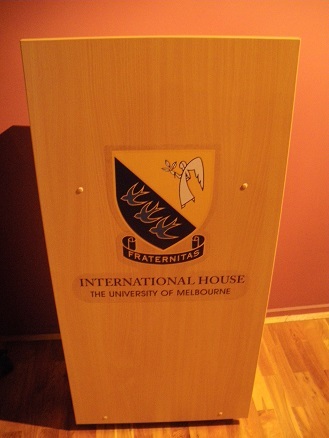 We will endeavour to respond to your inquiry within 24 business hours.